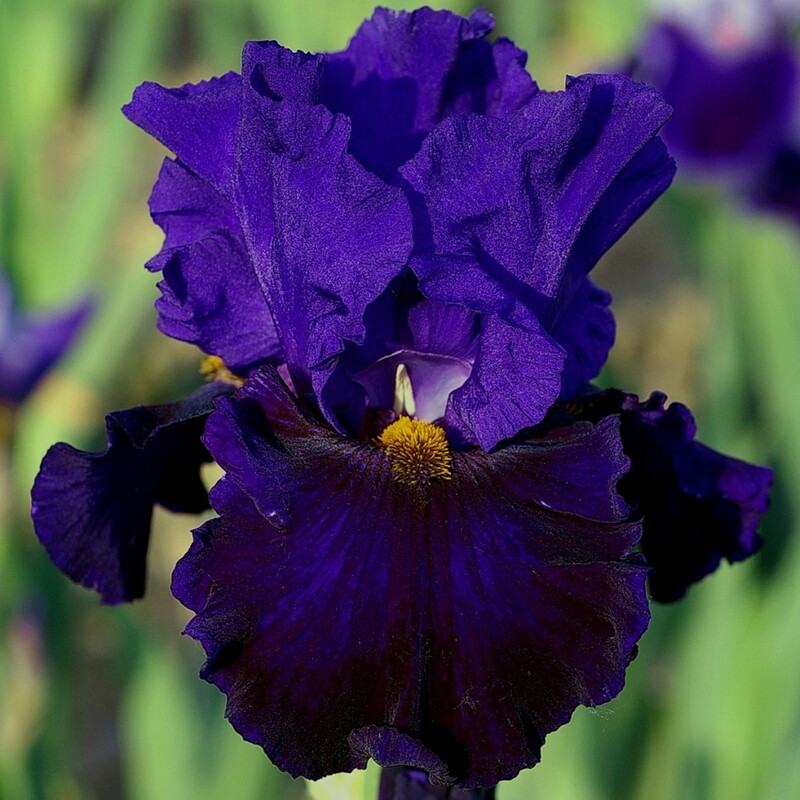 "Memphis Blues" and "Sapphire Hills" gave us this superbly shaped, medium-blue violet iris with tight ruffles on edges. A thin white median stripe extends the discreet light blue beard. Perfect stems and exceptional vigour. 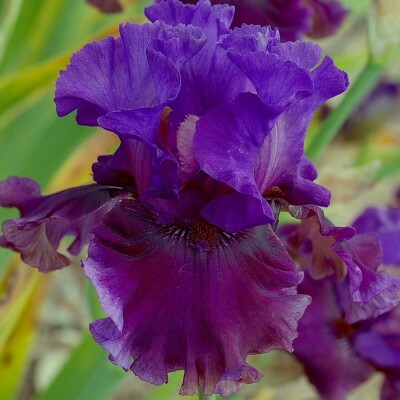 Brother to 'Attirance' and just as enticing with its lovely plain purplish lavender tone. 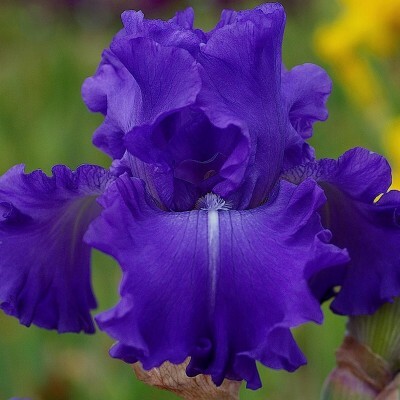 The shape is exquisite with strongly ruffled falls. 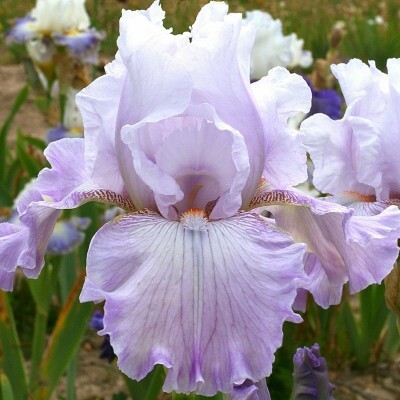 Beards are tipped in pale lavender. Average 9-10 buds per stem.